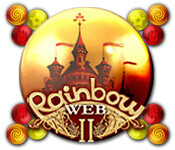 Rainbow Web 2 is rated 4.2 out of 5 by 17. Rated 5 out of 5 by ahgoodun from Rainbow Web 2.This is one of those games that when you start playing It looked so hard to do,but you get cought in the storyline and that does it. Match3 with a twist.played over and over. Rated 5 out of 5 by janaj from GREAT RELAXATION GAME! easy on the eyes too! I play when I need to wind down. Rated 5 out of 5 by barregar from A Hidden Gem I wish i had discovered this game earlier because it is absolutely charming! It is very relaxing and fun to play. I like being able to explore so many rooms in the castle. Graphics are beautiful, music is relaxing. In my opinion, this is a unique match3 game. The sequel Rainbow Web 3 is also great and I like that one too. They are both on my list of favourite match3 games!! Rated 5 out of 5 by dhoneykids3 from Relaxing and beautiful Rainbow Web 2 is one of my favorite M3 games, it has a fun story line and beautiful scenes. 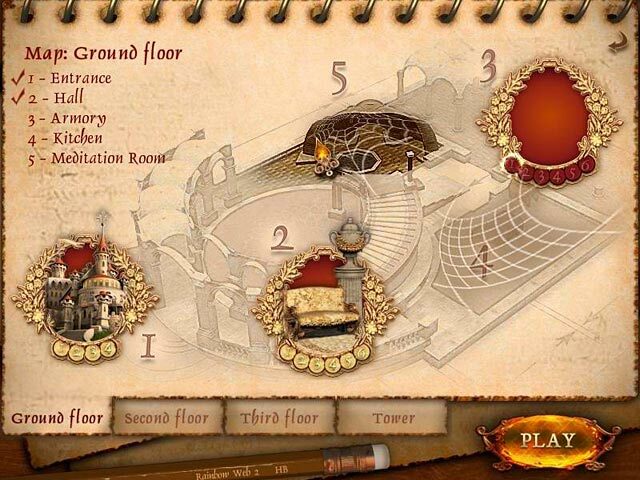 The colors are vibrant, and it is fun to see what part of the castle you are going to next. The music is so relaxing and soothing, I love this game. The mini H.O. part in between screens is very easy and one wonders why it was even included in the game, but the game is so wonderful, you dont care. I play this when I need to unwind and relax, so I play in the relaxed mode. I like this one much better than Rainbow Web 3, which is harder, I think. Maybe just because I use this game to relax, and it has all the elements needed to do just that, beautiful scenery, music and storyline I love. I have and will continue to replay this lovely game over and over! 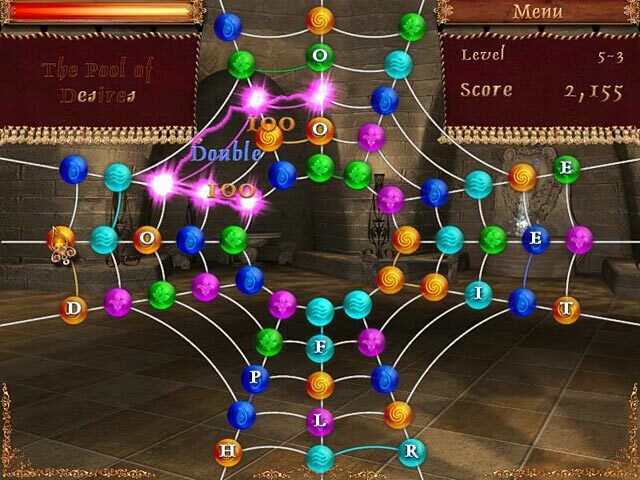 Rated 5 out of 5 by SnowMeow from Rainbow Web II I love the Rainbow Web games. Very relaxing and fun. Sometimes I play them to wind down before I go to sleep at night. Rated 5 out of 5 by BarbieLicious from GREAT GAME THIS GAME IS CRAZY FUN FOR EVERYONE!! Rated 4 out of 5 by KarenMora from No actual spiders I love games I can play over and over with the board never quite the same. This fits the bill. The first Rainbow Web didn't have much variation in the boards, but this one does. The games in between boards are very easy with lots of hits, should you require them. 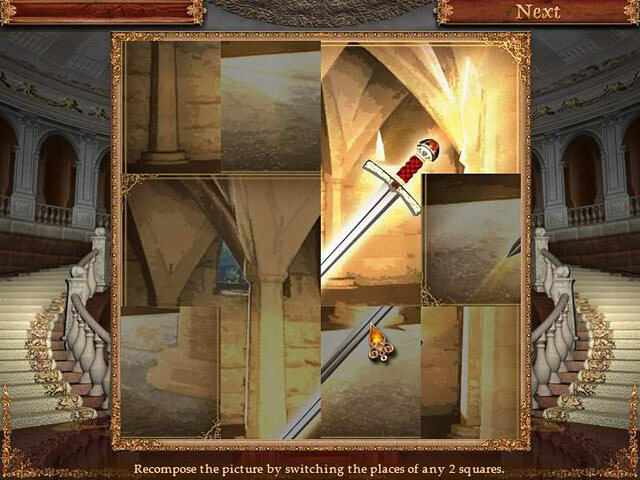 I had a little trouble with the hidden objects, my eyes are bad. The storyline was dull. I played the game completely through a second time without reading the story and discovered it really isn't necessary to read. And there was only one brief drawing of a spider, so fear not fellow arachnophobes! I also like that the game can be timed or relaxed. I don't do well with timers.